Garmin is pleased to announce the addition of a new accessory for the GNS 400W/500W series products. The Garmin Flight Plan Migrator Kit is an essential tool for allowing operators to create and import multiple user waypoints and flight plans from their PC into a GNS 400W/500W series unit. The kit allows operators to generate and transfer flight plans into the GNS 400W/500W series unit from compatible 3rd party Flight Planning software (example: Jeppesen’s FliteStar – v. 9.4.3, Seattle Avionics’ Voyager – v. 4.20). 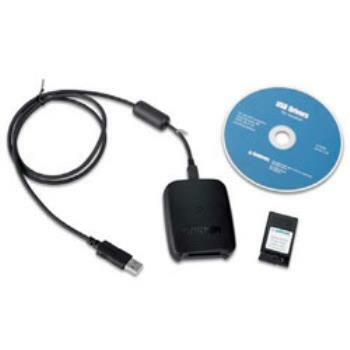 The Garmin Flight Plan Migrator Kit is composed of three elements – the Garmin USB Aviation Card Programmer, the Garmin Flight Plan Data Card, and the Garmin Flight Plan Migrator Software. The Flight Plan Migrator Kit also requires current GNS 400W/500W Main Software (v. 3.20, or higher). Additional (or spare) data cards are available for purchase. 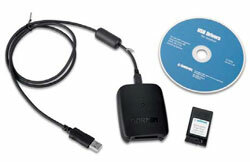 The Garmin USB Aviation Card Programmer can also be used by operators to update their Garmin Obstacle and Terrain databases via fly.garmin.com.